For the first time since it opened in 1957, Fernandina Beach Golf Club is in the midst of a serious renovation. 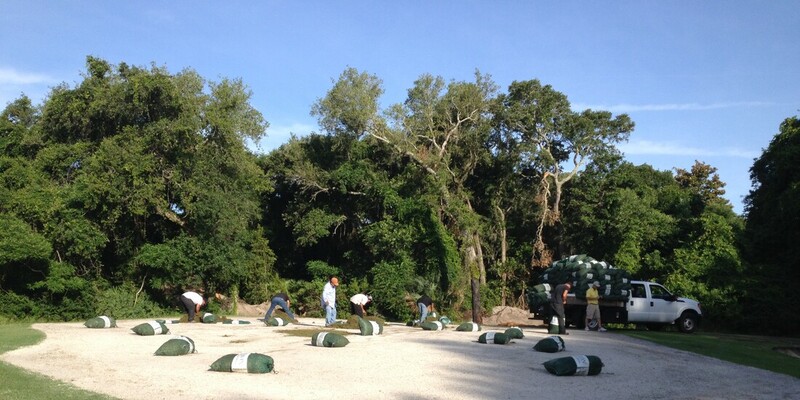 Billy Casper Golf staff at the northeastern Florida course are working to give a facelift to the putting surfaces at the facility's South Course. A project to replace the grass on those putting surfaces with Champion Bermudagrass began on May 27 with the fumigation of South Course Greens to eliminate contaminants in the soil. Just this week, sprigs of the new seed -- Champion's Dwarf Bermudagrass blend -- were planted with the help of Champion Turf Farms. Then the waiting game begins, with the new greens set to be open for play on August 1. The process Fernandina Beach is undergoing now is coming to Pinehurst No. 2 at the end of the month. The North Carolina host to the 2014 U.S. Open and U.S. Women's Open will be replanting sprigs with this Champion seed "because of the unique qualities that this type of grass has and the results it can bring to the putting surfaces," said Fernandina Beach general manager Josh O'Brien.